Before beginning this post, I think it’s important to note the title. This is my list of most influential books, as opposed to being my list of favorite books. That is, of course, not to say that these aren’t some of my favorites. However, if you know me, you know I’ve always been dreadful at forming steadfast opinions and determining favorites. A list of books that have had an impact on me as a human is far less intimidating to determine. I have always liked to read. Most of my formative years were spent with my nonna (grandmother), and she liked to read. That meant we spent a fair amount of time at the library and inventing stories to each other. She also didn’t mind funding my book addiction once a year during an annual trip to Borders, may it rest in peace, for my birthday. It was on one of those trips that I picked up this book randomly in fifth grade. I picked it purely for the cover, something I still do. I was weird and introverted as a child. Like many weird, introverted girls, I liked horses. One of our family friends let us come over to ride the horses he kept for others on our property, which led me to read an entire slew of late 90’s, early 2000’s book series with horses on the cover. 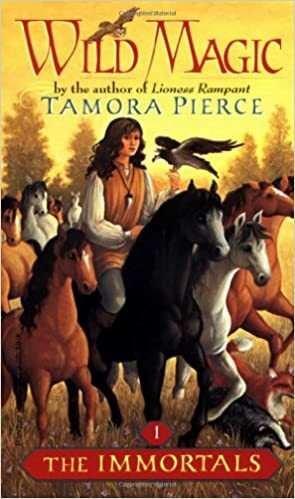 As a young reader, Tamora Pierce figuratively blew my mind. Aside from Harry Potter, which hadn’t fully landed with me yet, it was the first fantasy series I read that felt so real and accessible. It was the first realm that I ached to be a part of. I also loved Pierce’s main character, Daine, who felt unsure and timid, while being an absolutely terrifying boss-lady. Though undoubtedly a little dated, I would still recommend this series and all the Tortall books to any fantasy lover. Hands down, no questions asked, Atticus Finch is my ultimate favorite character in literature. Now, I haven’t read Go Set a Watchman, so my opinion might change if I ever decide to crack that particular spine. 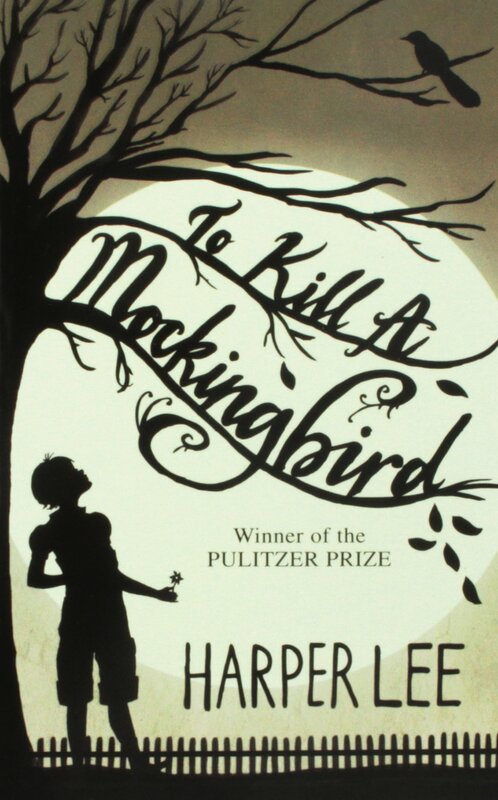 I also know that I said I was bad at picking favorites, but as a thirteen-year-old reading Mockingbird for the first time in my eighth-grade English class, Atticus Finch loomed large in my mind as not only the perfect man but also the perfect example of how we should treat other people. I’m older now, and admittedly, it has been a while since I revisited Maycomb County. It doesn’t seem to matter. When I think what kind of example I want to be for young people in my rural classroom, Atticus Finch is still the framework for my paradigm. I strive to exhibit all the characteristics Atticus envokes in my mind: fair and honest, thoughtful and tenacious, imposing yet nurturing, moral in the face of terrible adversity. This was another Border’s find that I shamelessly purchased for the packaging. 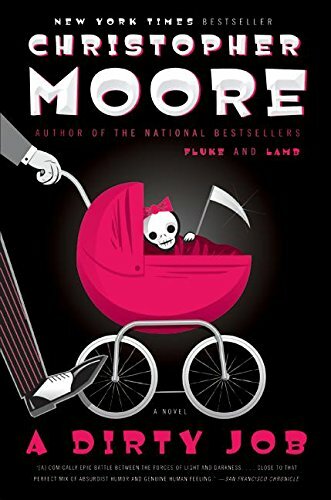 As a sophomore in high school, its adorable, bow-wearing skull babies were everything I wanted in a book cover. It was a simpler time for me as a reader, one in which I went home and promptly read the books I purchased. At fifteen, I had yet to inundate myself with a flood of books no sane person could possibly hope to keep up with. Thinking back, I believe this was one of the first books I purchased from the fiction section of the store; my previous finds came from the “teen” section. This was also the first truly hilarious book I read. This is the book that taught me that the inherently macabre could still be delightfully funny and that books didn’t have to sacrifice levity to make an impact. In many ways, A Dirty Job represents some of my favorite aspects of media. I have always loved dark symbols and imagery, but I hate being scared. This was my gateway into the realm of dark humor, where the best parts of two genres I loved could co-exist as one.